LOOKING FOR AN EMERGENCY DENTIST IN PETERBOROUGH? As in any emergency, staying calm is important! Avoidance and diligence are often the best means of preventing an emergency – for example, by ensuring that mouth guards and head protection are used where appropriate, and by ensuring younger children do not put foreign objects in the mouth. 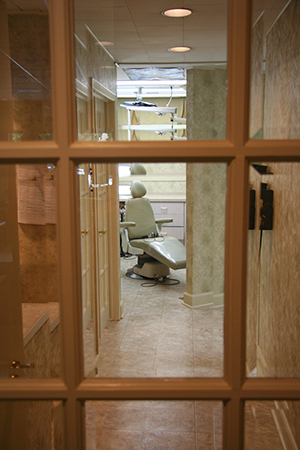 If a dental emergency does present itself in Peterborough, quick thinking can prevent additional unnecessary damage and costly dental restoration. Rinse the mouth of any blood or other debris. Place the tooth back in its socket while waiting to see Dr. Moore. Hold the dislocated tooth by the crown-not the root. If you cannot get the tooth back into the socket then place it in a container of cold milk, saline solution or the victim’s own saliva. This will prevent the root from drying out, increasing the tooth’s chance of survival. Place a cold cloth or compress on the cheek near the injury. This will reduce swelling. Ibuprofen may be used to reduce swelling and ease pain. For a fractured tooth, it is best to rinse with warm water and apply a cold pack or compress. Ibuprofen may be used to help reduce swelling. If the tooth fracture is minor and the pulp is not severely damaged, the tooth can be sanded or, if necessary, restored by the emergency dentist in Peterborough. Irritation caused by retainers or braces can sometimes be relieved by placing a tiny piece of cotton or gauze on the tip of the wire or other protruding object. If an injury occurs from a piece of the retainer or braces lodging into a soft tissue, contact our office in Peterborough immediately and avoid dislodging it yourself. If you have broken the side of molar tooth, the filling within a tooth, or have a deep cavity, you may be at risk for some severe pain. Application of eugenol-based adhesives found in drug stores can help to sooth the nerve, keep food from getting impacted in the area, and prevent the tongue from getting abraded by the sharp edges. Eugenol is a medication that is otherwise known as oil of cloves. Women have unique needs when it comes to their teeth, gums and overall oral health. Events such as menstruation, pregnancy and childbirth, breast-feeding and menopause all cause changes in the body, with some being potentially harmful to the teeth and gum tissues. Hormonal fluctuations occurring not only on a monthly basis, but also during menarche, menopause, pregnancy and lactation, can cause lesions and ulcers, dry sockets, and swollen gums. Estrogen, for example, affects the elasticity of collagen fibers in the body. Fluctuations of this hormone can affect the collagen in gum tissues (causing decreased tonicity and tightness to the teeth) and in the tempero-mandibular jaw joint (resulting in an increased number of jaw problems). Interestingly, hormone replacement therapy has been shown to increase the amount and frequency of gum bleeding and swelling, while the birth control pill increases the risk of gingival infection by bacteria. Some studies indicate that 75% of all patients suffering from facial pain and TMD (tempero-mandibular jaw joint dysfunction) are women. Men suffer TMD as well, but women tend to be more symptomatic. Some researchers believe that this is because of the greater number of “estrogen receptors” in female musculature, making women more aware of muscle spasms. Dry-mouth is also suffered by more women than men. In the end, having an emergency dentist in Peterborough to assist you in attaining and maintaining good oral health is an important part of an oral health care strategy. Contact us today for further information.